Sorry for being so absent lately. You have no idea how crazy my life is now between fashion school,work and other stuff going on. It's pretty overwhelming but I love it, it's all for a good cause, trust me. It's been a long time since I've done night life and this weekend will be a busy one for me and for my blogs.Be ready for some great stuff. Let's get ready for this Saturday. I will be hosting the Masquerade Ball promoted and produced by Ariel Del Mundo at this amazing venue called The Varsity lounge. 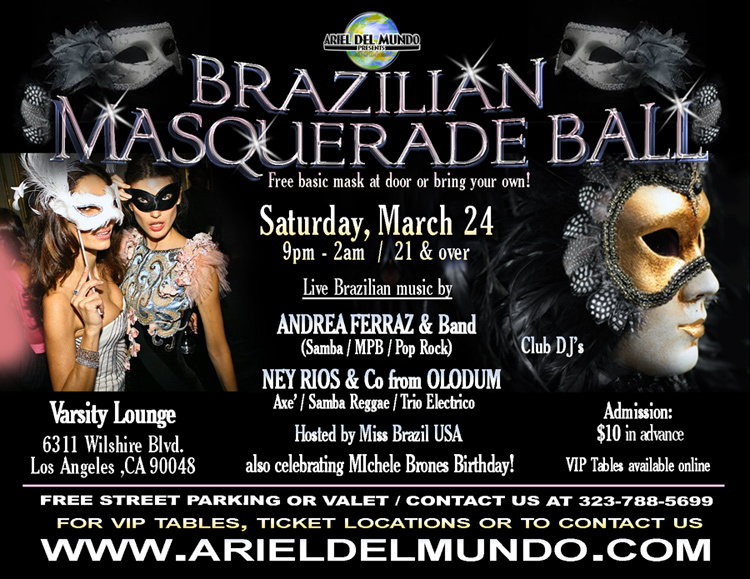 Put your mask on and let's party in style.Live music, beautiful people and much more! !